An Adept is a Hive Acolyte that appears as a unique enemy in the King's Fall Raid. Adepts are Majors and usually accompanied by a group of standard Acolytes. 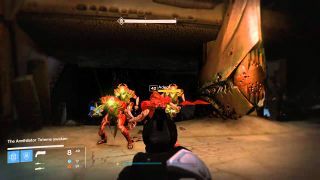 Killing the Adept before the Acolytes will trigger an AOE blast, empowering nearby Acolytes to fire eye blasts akin to those of an Ogre. They are featured as part of the Totem, Warpriest, and Golgoroth encounters. Adepts are colored differently from other Acolytes, possessing red chest-plates and heads.